Istvan Deak, Seth Low Professor Emeritus at Columbia University, was born in 1926 in Hungary and began his university studies there. Following his departure from Hungary in 1948, he studied history at the Sorbonne in Paris and worked as a journalist and librarian in both France and Germany. Since 1956, he has been residing in New York City where he studied modern European history at Columbia University. He obtained his PhD degree in 1964 and taught at Columbia University, with brief intermissions for visiting professorships elsewhere until his retirement in 1997. He was the Director of the University's Institute on East Central Europe between 1968 and 1979. Professor Deak's publications include, Weimar Germany's Left-wing Intellectuals: A Political History of the "Weltbuhne" and Its Circle (The University of California Press, 1968); The Lawful Revolution: Louis Kossuth and the Hungarians, 1848-1849 (Columbia University Press, 1979), for which he received the Lionel Trilling Book Award of Columbia College, and which also appeared in German, Hungarian, and Romanian; Beyond Nationalism: A Social and Political History of the Habsburg Officer Corps, 1848-1918 (Oxford University Press, 1990), which received, among other things, the Wayne S. Vucinich Book Prize of the American Association for the Advancement of Slavic Studies, and which also appeared in German, Hungarian, and Italian; Essays on Hitler's Europe (University of Nebraska Press, 2001) which also appeared in Hungarian and finally,with Marina Cattaruzza, Il processo di Norimberga tra storia e giustizia (Torino: UTET Libreria, 2006). Istvan Deak edited and partly wrote, together with Jan T. Gross and Tony Judt, The Politics of Retribution in Europe: World War II and Its Aftermath (Princeton University Press, 2000). 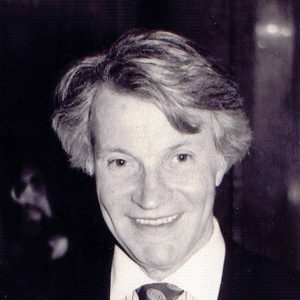 Istvan Deak has published articles in US, British, Hungarian, Austrian, etc., books and journals on such subjects as Hungarian historiography, the cultural and political scene in Weimar Germany, the revolutions of 1848, World War I in Central Europe, the rise of fascism, collaboration and resistance in Europe during World War II, and post-World War II judicial retributions. He is a contributor to The New York Review of Books and The New Republic. He is working on a book dealing with collaboration, resistance, and retribution in World War II Europe. Following his retirement, Istvan Deak taught at Columbia University as a special lecturer. In 1999, 2002, and 2005 he was visiting professor at Stanford University. "Some Thoughts on the Question of Why Monarchies Fall" in László Borhi, ed., Európa, nemzet, külpolitika. Tanulmányok Ádám Magda születésnapjara (Budapest: Aura Kiadó, 2010), pp. 45-52. "Antisemitism in Eastern Europe Since 1848" in Albert S. Lindemann and Richard S. Levy, eds., Antisemitism: A History (Oxford University Press, 2010), pp. 222-236. "The Habsburg Army: The Source of Central European Unity or of Chaos," in Zoltán Kovács and Levente Püski, eds, Emlékkönyv L. Nagy Zsuzsa 80. születésnapjára (Debrecen: Debreceni Egyetem, 2010), pp. 53-64. "Hungary: The Threat," The New York Review of Books, April 28, June 23, 2011. "The Charnel Continent: Timothy Snyder's Bloodlands," The New Republic, December 2, 2010.